Great as a gift idea, perfect to stuck ID, credit card, some cash. 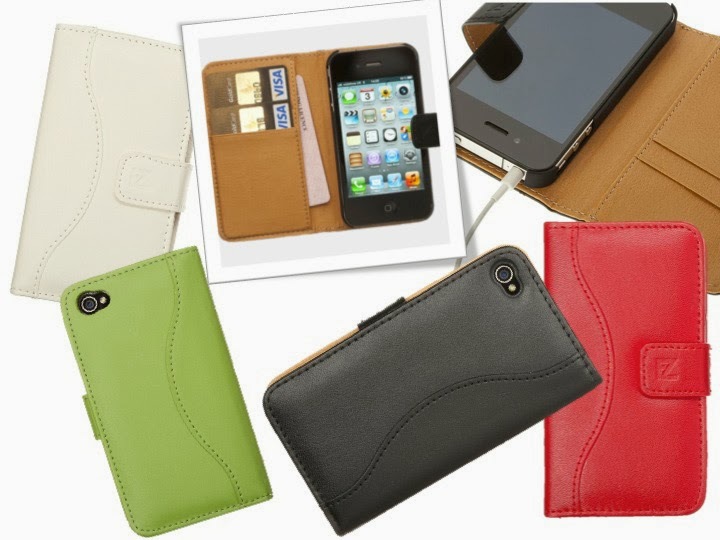 Protective iPhone 4/4S wallet cases are enormously handy and very, very practical for many busy life situations. You can stuck ID card, credit card, some cash. On the other hand they will protect your iPhone from scratches and in case of drop – they are shock resistant. Apart from being very useful they keep in mind that they make a perfect ladies gift whatever the occasion! Investigating round my colleges, friends and family I have gathered top 10 iPhone wallet cases that sell well and got very good reviews. 5. TORU Ostrich wallet case for iPhone 4/4S. Closes very well, even with several cards in it. Also available in six colors. It’s not the highest quality but it’s really cute and very fashionable. Very sophisticated design, some people swear it’s the best case they had. Since it’s one of the most expensive iPhone 4 / 4S wallet cases suitable for women reviewed here I say – well for that price it’ should be awesome! It sells for $39.99. Holds everything great, looks well! Good reviews. Enough said! Find it here >> Other colors available. This is US well know brand producing accessories for Apple and Samsung. This mode is good as you can get bu, especially considering that the price is less then $10. But for that money don’t expect highest quality fabric – but fairly decent PU leather! And you get Screen Protector and Stylus as well! This is more of a purse as it offers full-round protection to your iPhone 4/ 4S, iPhone 5/ 5S, iPhone 5C and I find that to be very practical. This means that your mobile is not strapped in the case but it’s easily taken out and no worries for picture taking and flash problems that some cases are experiencing!